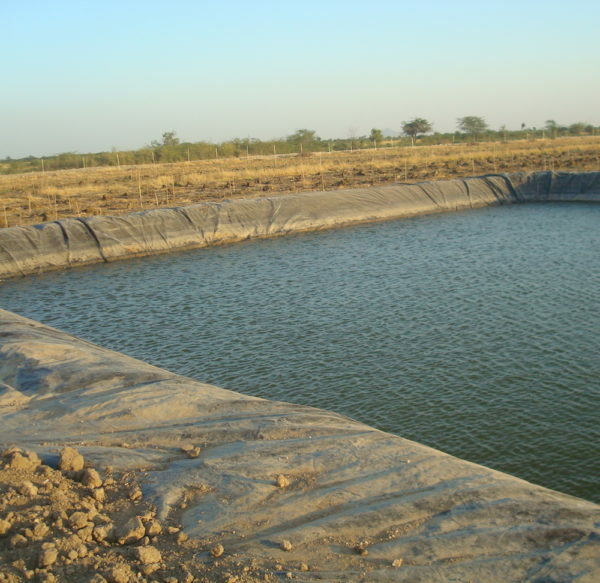 Rainwater can easily be collected and stored in simple reservoirs with specially developed pond liners. This works out at very low cost. This is optional depending on the location. 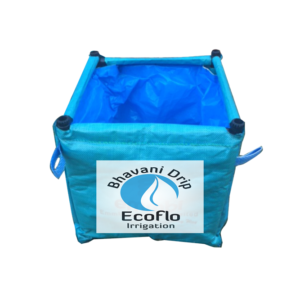 Areas near the river beds and even further or with areas with very shallow water table like many parts in Bihar- these areas have water at 10-15ft depth which can be very easily utilized for micro irrigation with the help of the Ecoflo Treadle pump. Direct utilization of the water is possible for micro irrigation. We provide a range of durable & reasonable pond liners made up of composite plastic. It saves your storage tanks cost & help to save rain water. These liners are available in varies sizes & thicknesses having a lifespan of 2 to 10 years as per their thicknesses.